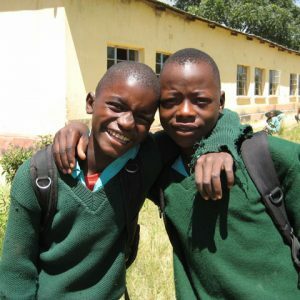 Creating Better Futures is a Christian-led charity, based in Reading, helping children and their guardians in the Domboshowa and Mutare regions of Zimbabwe. Their mission is to lift orphans and vulnerable children in Africa out of poverty by providing them with access to education, and supporting them through projects focused on feeding, nutrition, clean water, hygiene and sanitation. This charity was voted in and chosen by members of The Rotary Club Of Oxford Spires at the start of the Rotary year. The members were won over by Dorothy Dix, founder of Creating Better Futures, who gave the club a presentation on the work that her charity does. I think that this is going to be an exciting time for both Oxford Spires and Creating Better Futures and we look forward to helping the charity organisation however we can.